The Red Hot Mamas are well known around the country for their uplifting, motivating and downright zany performances. 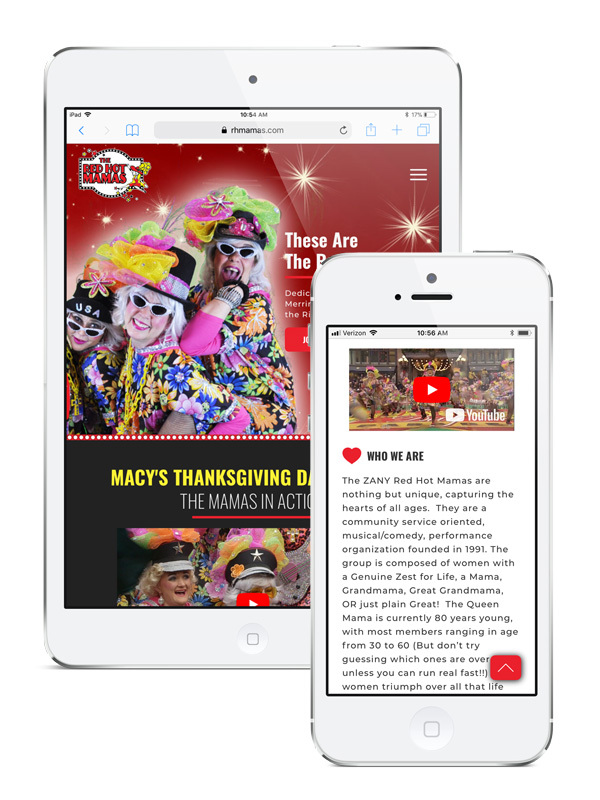 The Coeur d'Alene, Idaho based group reached out to Bent Liquid in a bit of a desperate time as they were headed to New York City for the Macy's Thanksgiving Day Parade but hadn't been able to rectify their new website after running into complications with a couple of previous web developers. The Mamas thought there was no hope for launching their new e-commerce site prior to the big performance, but through good communication and some late nights we were able to launch prior to the parade and in less than one week!